Was Washington Offered Rose Bowl First? 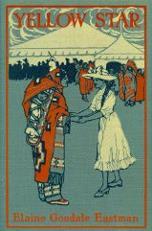 In a discussion on Amazon.com of his biography of “Gloomy” Gil Dobie, William L. Borland, states that the University of Washington was offered the opportunity to defend the honor of the West and turned it down prior to it being offered to Washington State. UW’s account differs with that told by WSC. When asked where he found the information to support the claim, Borland responded that he found it in Seattle newspapers of the day. I have seen letters on Tournament of Roses letterhead to Washington State and to Brown University confirming that they would be playing each other on January 1, 1916, but I haven’t seen anything from the Tournament to UW. Research in Tournament of Roses and UW archives will be necessary to determine the truth. However, not finding anything in either archive does not mean that documents never existed, just that the institutions didn’t save them or that someone stole them from the archives. The latter happens more often than we’d like to admit. 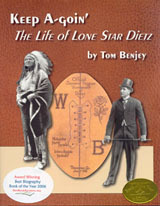 We are celebrating Dietz’s listing by giving 20% off his biography at www.Tuxedo-Press.com. To learn more about Lone Star Dietz, check out www.LoneStarDietz.com. It will be interesting to see if the injustice done to Lone Star will be corrected this year. It also remains to be seen if the Lone Star Curse over Washington State will ever be lifted. WSU’s last undefeated season was in 1917, Dietz’s last year in Pullman. Their last, and only, Rose Bowl victory was in 1916 when Dietz’s undefeated warriors upset Fritz Pollard and Brown to put West Coast football on the map and to establish the Rose Bowl and all the other bowl games that followed. The National Football Foundation released the 2009 ballot for the College Football Hall of Fame and Lone Star Dietz’s name is on it again, but don’t get too excited. Lone Star Dietz should have been inducted into the College Football Hall of Fame decades ago but hasn’t been. In my opinion, Dietz shouldn’t need an HoF-worthy win-loss record (something he has) to gain admission to the Hall. His 1915 season culminated by the 1916 Rose Bowl in itself should be enough. He took over a Washington State team that had had a string of losing seasons and led them to the best record on the West Coast that year. As a reward, he was given the honor of defending the honor of the west in a New Year’s Day game to be played in Pasadena after the parade. At that time West Coast football was considered to be inferior to the Eastern brand. In 1899 the Carlisle Indians defeated the University of California in a Christmas Day game played in San Francisco and this was before the Indians hit their stride. 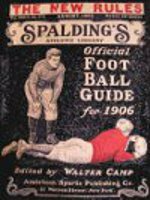 A 1902 New Year’s game was played in Pasadena between Michigan and Stanford but it was a failure because Stanford threw in the towel in the second half while losing 49-0 because they could no longer field 11 players without broken bones. They waited until 1916 to give it another try. Dietz and his team demonstrated to the entire country that West Coast football (at least Dietz’s team) was the equivalent of Eastern Football when they beat Coach Eddie Robinson’s fine Brown University team that featured Fritz Pollard. They also established the New Year’s Day football tradition, the Rose Bowl, and all the other bowls that would follow. Some Eastern sportswriters considered Washington State to be national champs that year. Dietz didn’t need to do anything more to deserve induction, but he did and did it well. Robinson and Pollard were inducted half a century ago but not Dietz. He was inducted into the Helms Foundation long ago but not the College Football Hall of Fame. For years the HoF had incorrectly computed his win-loss record and deemed him unworthy of consideration. Their mistake was finally corrected in this century, so almost no one alive remembers him. Also, his selection would probably not result in as large a number of banquet tickets being sold as did Bowden’s and Paterno’s. Thus the HoF has little incentive to induct him. Another Brown end made the trip to Pasadena. Furber I. Marshall was born in New Hampshire to a Avard L., originally form Nova Scotia, and Mabelle, from New Hampshire. When Furber was quite young the family moved to Newport, RI where Avard managed the Newport Beef Company which was affiliated with Swift and Company. Furber played football only one year in high school but starred at basketball. He played center on Rogers High School state championship team in 1913. Later that year as President of the Rogers High School Athletic Association, he presided over a meeting in which it was decided to admit girls as members. 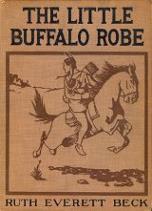 In December he served as the chief press agent for the operetta “Bul-Bul” that was put on by the Rogers Glee Club. In February the basketball team lost its captain when Furber contracted blood poisoning in his foot. In September 1914, the man who had been president of the class of 1914 at Rogers High School became the freshman class president at the University of Pennsylvania. September 1915 found him enrolled at Brown University and playing end on its football team. Furber was in Pasadena but saw the game from the bench, most likely, as his name didn’t show up in game reports. In the 1916 season he became a star. In August 1917, after the U.S. entered WWI, Furber Marshall joined the Army Aviation Corps and was commissioned as a 1st lieutenant after completing flight training in May of 1918. After the war, he completed his degree at Brown as a member of the class of 1919. He then worked in the petroleum industry for eight years, got married, and lived in Chicago for a time. After that he started his own company, Marshall Asbestos Corp, which he operated in Troy, NY. 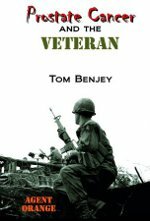 Later, he merged his company with Bendix Aviation Corporation as the Marshall-Eclipse Division and was president of Bendix Service Corp for many years. In 1943 he took over as president of Pharis Tire & Rubber in Newark, OH. The 1950s found him in central PA where he was president of Carlisle Corp., which was best known at that time for making bicycle tires and tubes. Thus, this captain of industry was in Carlisle in 1951 for the premier of “Jim Thorpe–All American.” The Cumberland County Historical Society has a photo of him with Jim Thorpe and Governor John S. Fine at ceremonies before the premier. He surely talked with his old nemesis at that event, because Lone Star Dietz, coach of the Washington State team that beat Brown in the 1916 Rose Bowl, was also present. Marshall died in 1957 in Carlisle, leaving behind his wife, the former Sarah Hall, and his mother. He was inducted into the Brown University Hall of Fame in 1975. Brown threatened to score during the first half but failed. At halftime Washington State went into the clubhouse to dry off and change into dry uniforms but Brown didn’t bring extras to change into. They did, however, find a shed that contained some straw, so they coiled around it as best they could in an attempt to dry off. They weren’t in the best shape to play the second half. Back at Brown, Josh Weeks roomed with Fritz Pollard and operated a side business ironing men’s slacks to make money. 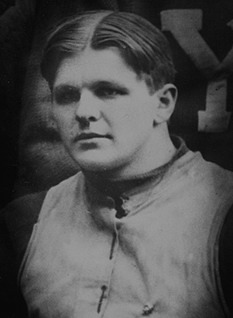 Fritz played just one more year at Brown but Josh continued through the 1918 season when Walter Camp placed him on his All America second team at left end. Paul Robeson of Rutgers was named to that position on the first team. Brown Was In 1916 Rose Bowl, Too! I recently posted some footage of the 1916 Rose Bowl that was provided to me by the Washington State athletic department onto www.YouTube.com/TomBenjey. 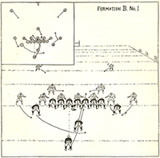 Washington State was of course running the single-wing, but Brown was running a derivative that eagle-eyed Ted Seay observed that “At the 5:48 mark, Brown shifts into a double-flexed formation with an end and tackle to the left, then they slot their wingback inside that tandem and sweep to the left…” I am now working on a short video of Brown’s offense that will include slow-motion clips for those of us who don’t have Ted’s powers of observation. See http://www.youtube.com/watch?v=yTA2w8aanPc&feature=channel_page That got me thinking about Brown’s players. Everyone is familiar with Fritz Pollard and, to use WSC’s descriptor, “the giant [Mark] Farnum,” but there are other players from that team who are in the Brown Hall of Fame. Let’s start with Josh Weeks because I have communicated with his son, Randall, who talked with him about the game. Joshua H. Weeks, number 42, played right end on the 1915 Brown University team that played against Washington State in the 1916 Rose Bowl. Later in life he shared some of his experiences with his sons. Randy has been good enough to pass some of his memories along to me. For starters, Brown got little exercise, contrary to what the cartoon at the bottom of this piece insinuated. Prior to the game the players encountered citrus trees loaded with ripe fruit and gorged themselves on oranges. What a mistake! The result was frequent bathroom runs during the game. Seeing no need for cold or wet weather gear, Brown brought neither along with them. Two days before the game it snowed and it poured during the game. Lone Star Dietz only brought summer suits for himself but did bring mud cleats for his players. Fritz Pollard could get no footing and was held to a season-low in yards gained. He did notice that Lone Star’s white suit was covered with mud before the first quarter was over.